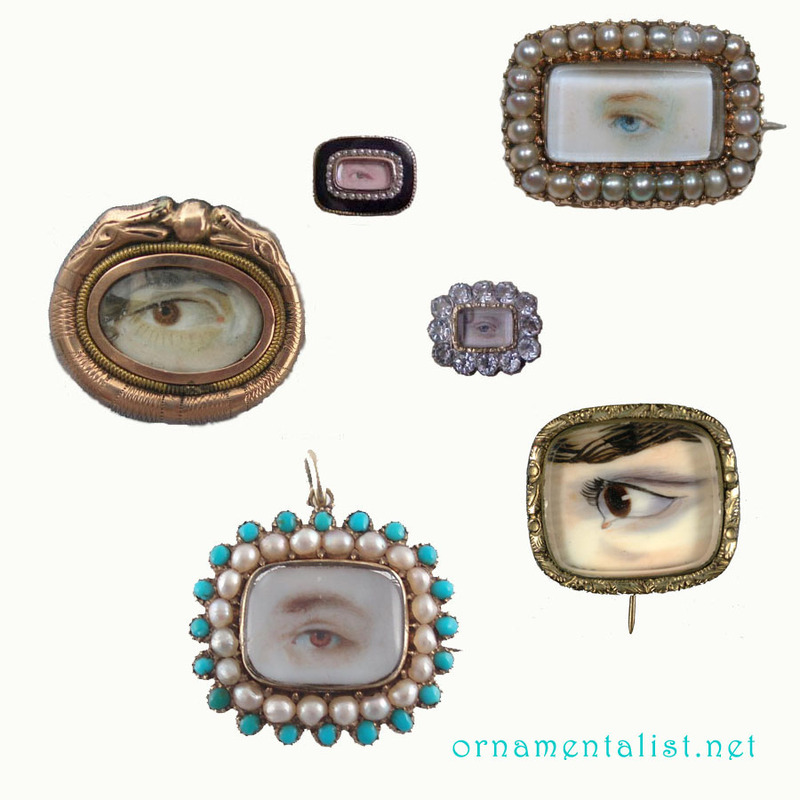 In the late 18th and early 19th centuries, miniature eye portraits were all the rage. This was after the late 17th century rage for miniature portraits of any kind. They were painted most often using watercolor or gouache, on a substrate of ivory or parchment, then set into a bit of jewelry- a pin or pendant. In Victorian times the eye portrait was often a piece of mourning jewelry, but the origin of this form was as a token of love. 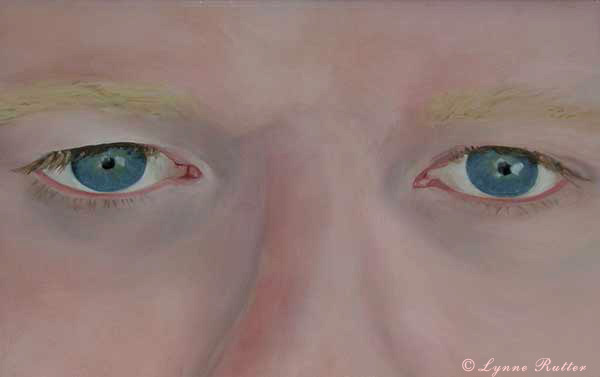 I have had, for rather a long time, an obsession with eyes, used as symbols in my paintings. So naturally I am fascinated with these tiny symbolic paintings, the lover's eyes. "Eye portraits are considered to have their genesis in the late 18th Century when the Prince of Wales (to become George IV) wanted to exchange a token of love with the Catholic widow (of Edward Weld who died 3 months into the marriage) Maria Fitzherbert. 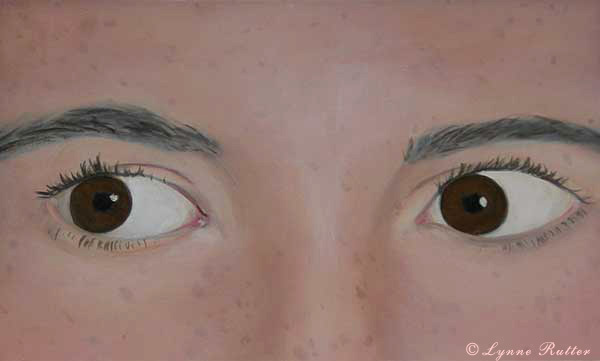 The court denounced the romance as unacceptable, though a court miniaturist developed the idea of painting the eye and the surrounding facial region as a way of keeping anonymity. The pair were married on December 15, 1785, but this was considered invalid by the Royal Marriages Act because it had not been approved by George III, but Fitzherbert’s Catholic persuasion would have tainted any chance of approval. 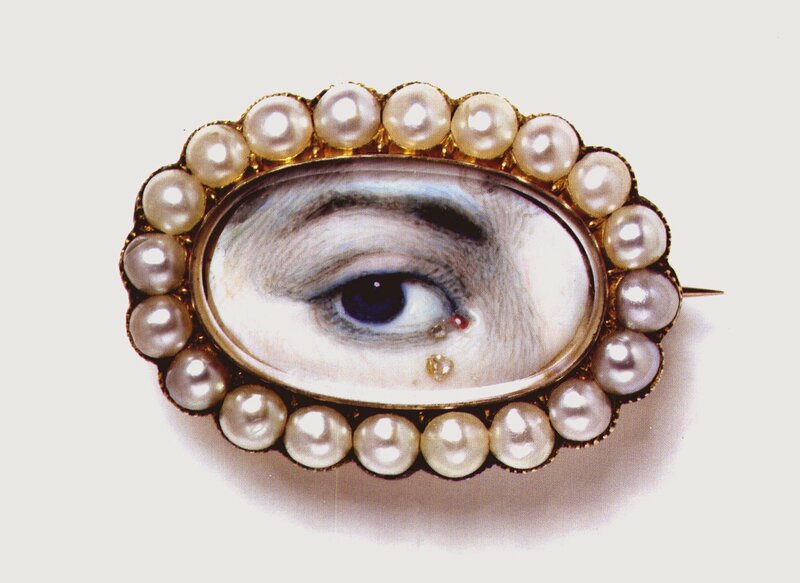 Maria’s eye portrait was worn by George under his lapel in a locket as a memento of her love. This was the catalyst that began the popularity of lover’s eyes. From its inception, the very nature of wearing the eye is a personal one and a statement of love by the wearer. Not having marks of identification, the wearer and the piece are intrinsically linked, rather than a jewellery [sic] item which can exist without the necessity of the wearer." I'd love to be a collector of these, or to have just one of them. Perhaps I will paint one of or for my own best beloved, as a follow-up to the maxi-eye portraits I painted a few years ago, of Erling Wold, myself, and our "adopted" daughter Laura Bohn. 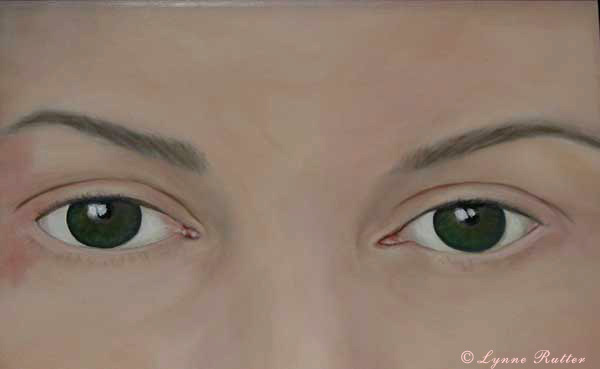 Eye portraits of Erling Wold, eye self-portrait, and Laura Bohn, at 250% of life size, oil on masonite. Treasuring the Gaze more about Georgian lover's eye portraits. Interested in collecting? Antiques Roadshow has some tips. Not a lot is known about artificial eyes during ancient times, but they were apparently common enough for William Shakespeare to be aware of them in the late 1500s since he mentions "glass eyes" in King Lear. normally I block such spam but the non-sequitur of this one was just too amusing.